Weber grills are very popular in the market because the company has been around making high quality grills since quite some time ago. 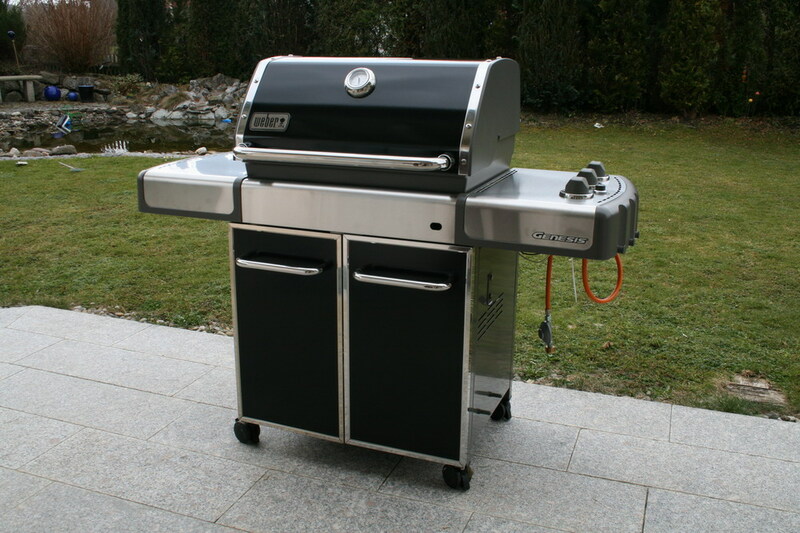 They also offer their customer with a wide range of grills starting from those full size charcoal grills to those portable propane gas that can be carried conveniently. In today Weber Spirit E210 vs Weber Spirit E310 article, we are going to give you information regarding what you can expect from them. If you are interested in one/both of them, go check our article below. Before we are talking about how good these grills are, let us give you a little information about different types of grills available. The most popular and widely used grills is probably the gas type, which both of Weber Spirit E210 vs Weber Spirit E310 are falls into. These type of grills is powered by natural gas or bottled propane and is great for those who want to quick operation since it can be operated with just firing the grill and throw the food to cook it without having to worry about setting up the charcoal and cleaning up the mess. The second type is charcoal grill that will be very suitable for those who want to get a smoky, grilled flavor and are quite skilled in grilling. The third is electric grill, which is the simplest type of grill. These grills are best for those who lived in an area where gas/charcoal grills are restricted due to the law. The last is portable grills, which is just like its name, it is small enough to be carried around while picnic or for those who have limited space and can’t use full sized grills. The Weber Spirit E210 comes from the company’s entry-level models with its two burner design and a built that made from good materials very suitable for those who want a compact and quick grill to server 3-4 people at once. 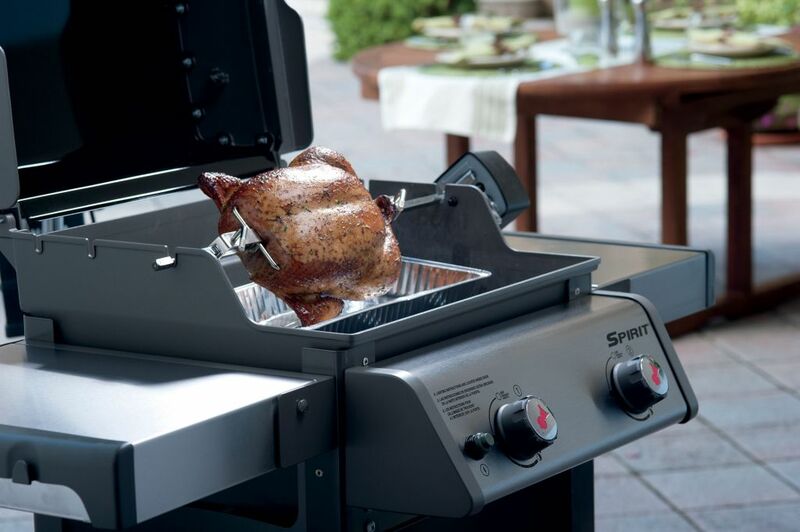 This grill is very popular in the market and got so many praise from the user. The design combining simplicity and style in one streamline package packed with useful features you will need for your cooking. If you are a beginner and just want a straightforward grill, this one might suit your preference. From the outside E210 is indeed very straightforward and well thought. When you look at the grills, you will notice there are two tables on each side, which is beneficial when using the grills to placed/prepared cooked/raw food. The item itself is measures at 32 x 50 x 63 inches and weigh around 114 pounds, it comes with the firebox and gas lines pre-assembled, so you will need to attach them. The overall construction is good even though it is not as good as the older models and the body is made with enameled steel. The grill comes with 2 burner that are used to heat up 450 square inches of cooking space divided between the primary cooking area and its warming rack. To ignite the burner, it used an electronic crossover ignition system with a single AA battery. The burner tube are made of high-grade stainless steel that should be able to deal with the small amount of water in natural gas and liquid propane. Their material are steel with no wields, which is more resistant to burn through and rust. Read also: Weber Spirit S210 vs. E210 here. The Spirit E210 cooking grates are made from exceptional materials, which each one of them able to retain heat evenly and sears food beautifully. The first material is porcelain-enameled steel that not only durable but also easy to clean. The second is stainless steel cooking rod that will give your food a good sears. The third is porcelain-enameled cast-iron cooking grates with its superior heat retentions as well as easy to clean. To make cleaning the grill even more convenient, there is also a grease management system. If you want a similar grill but are willing to pay more hoping to get a better grill, the Weber Spirit II E-310 is probably for you. Just like the original Spirit line, this one is also a workhorse that able to deliver solid performance, easy to use and easy to clean. It is also still comes with 3 burner configuration and a color option that even though won’t affect their performance but will be quite interesting to match your overall set up. As you can see, the design is very different from the original Spirit E310 since now there is no doors/closed space below the cooking box. It also comes with folding tables on the left side while the right side is fixed. It measures are 52 x 26 x 57 inches and weigh around 110 pounds with a great built compare to its competitor even though it still used a lower grades of stainless steel. It used porcelain-enameled steel stainless steel and cast aluminum construction. As it has been mentioned earlier, the Spirit II E310 comes with 3 burner system but with the same easy to use ignition. It use infinity ignition that claimed to be effective every time. It also has flavorizer bars that designed carefully to catch each drips from your food and add the smoke as well as sizzle to give that smoky flavor you will love. When the drips are not vaporized, below the bars there is a slope funneled away from the burners to the grease management. The cooking grates is made from porcelain-enameled cast iron, which is reversible to allow you to be more creative with your dish. If you are cooking delicate food like fish or shrimp, you cans use the thin side of the cooking grate while if you want to sear them, the wider side will help enhancing your food. The warming rack on top of the cooking grates will keep your toast burger buns or other food warm while the main meal is cooking below. Now, let’s compare Weber Spirit E210 with Spirit II E310. 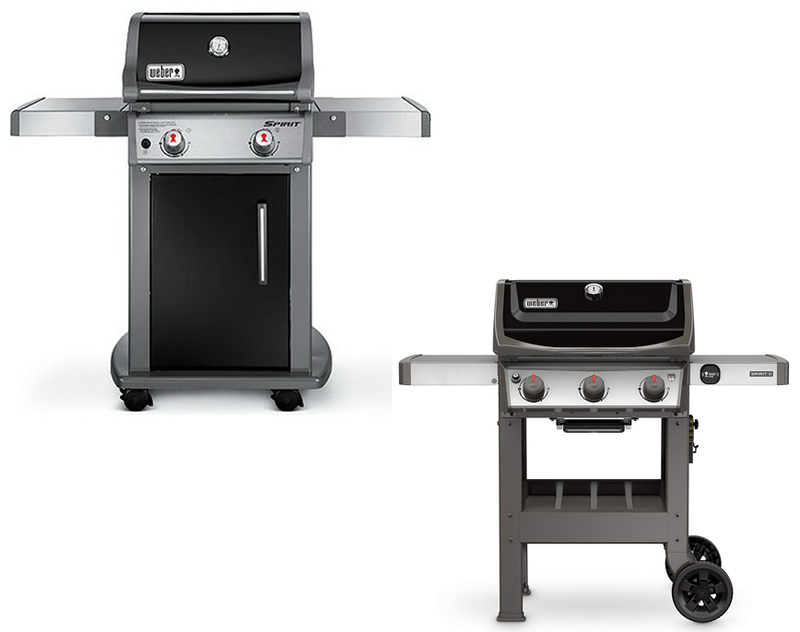 As you can see from the picture above, the design of these grills are different, one comes with a closed cart design while the latter is using open cart design. They also has different amount of burner with E310 having 3 burners system and E210 with only 2 burners. Another difference is the cooking area, since E310 has more burner, the cooking areas is also wider, so it can cook more food at once than E210. All in all, the decision is all yours to make. In our opinion, both of them are equally dependable and it will rely on your need to decide which one of them will suit your need better. However, if you are serving 3-4 people, we will recommend you the Weber Spirit E210 since it is more affordable than the latter.